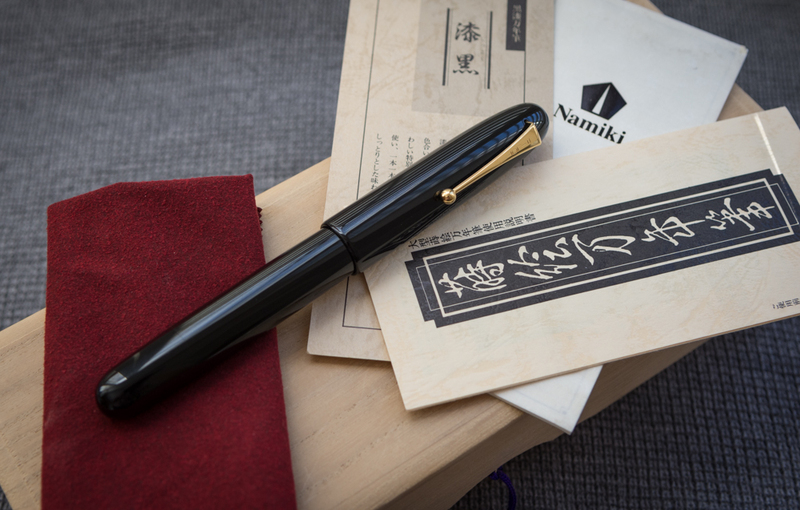 I have for sale a hard to find and very collectible Pilot Namiki Emperor in Black Urushi Lacquer. It is mint in unused condition with box and papers. It is a first generation model and long out of production. I believe my pen is among the last produced prior to changes made in 1997-98. 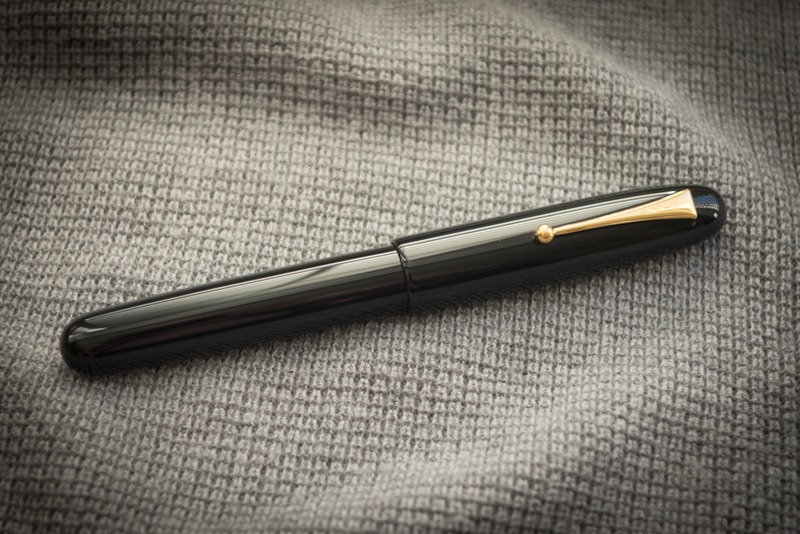 Pilot reintroduced the Emperor in 1985 based on a short run 1930’s prototype. 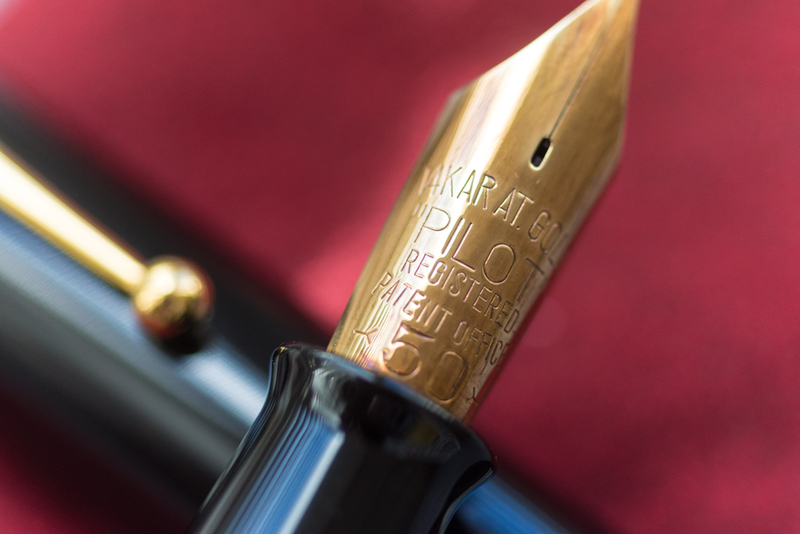 In 1985 the nib was stamped “14 Karat Gold Pilot Registered Patent Office <50>.” The clip was stamped Pilot. There was no nib size indicated. 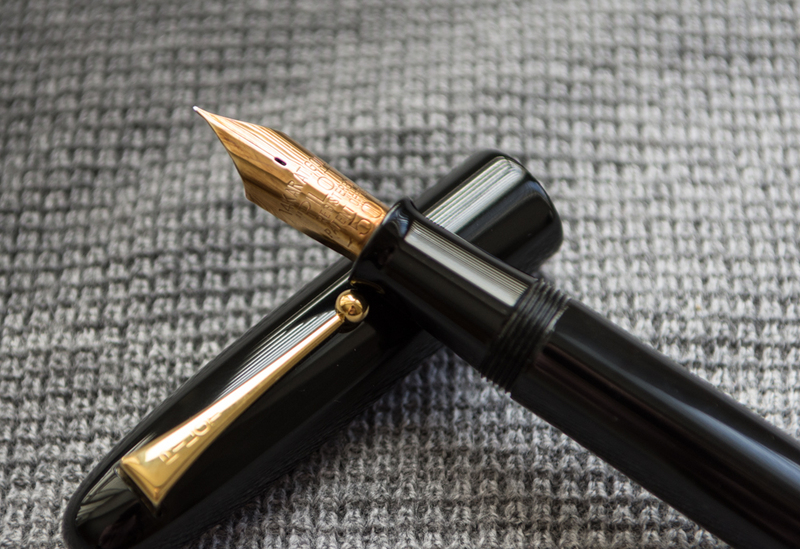 This design remained in place until the later 1990s probably around 1997/98 when the nib with text was changed to 18k with Namiki replacing Pilot on the nib and clip. In the 2000s the modern version of the pen with Mt. 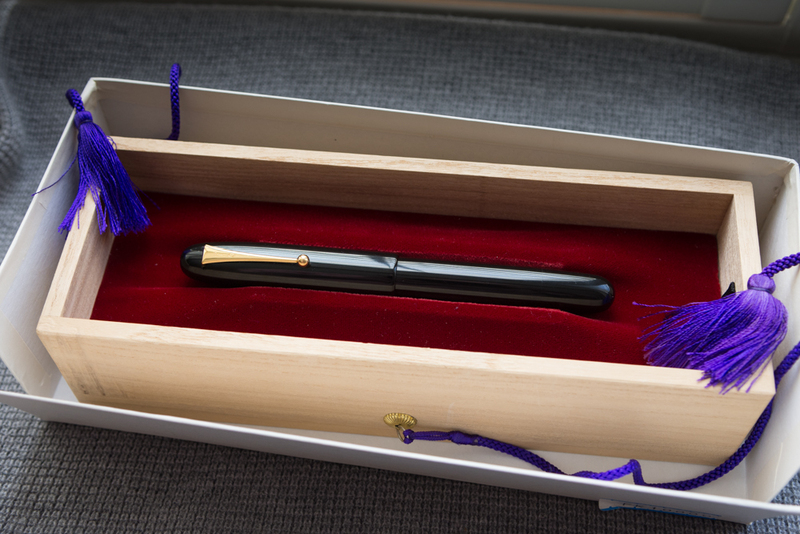 Fuji on the nib was introduced. 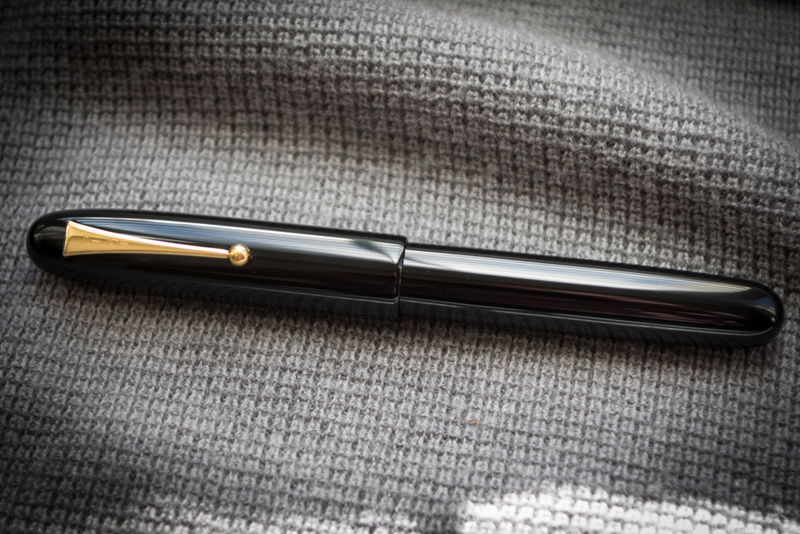 My pen has never been inked or dipped, it is truly new old stock and a rare find. 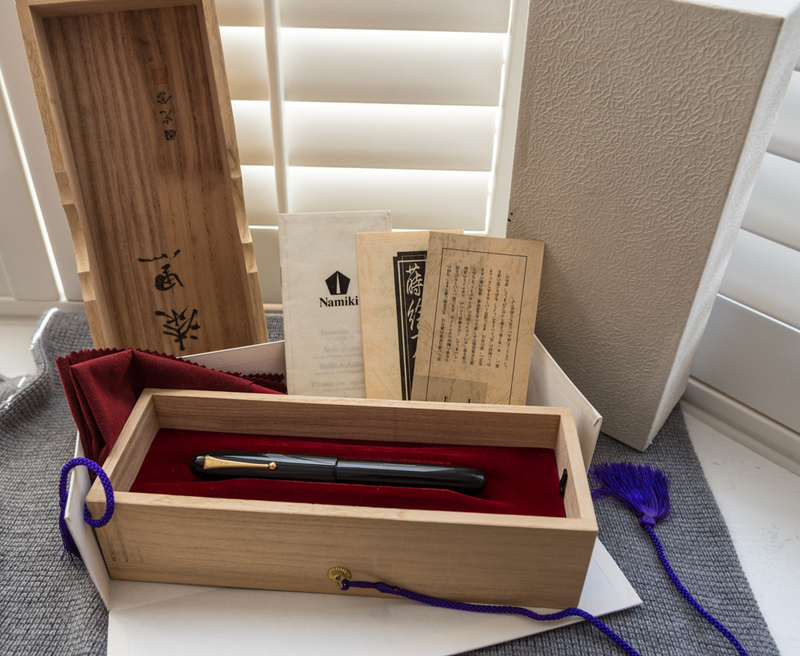 It is complete with its original wood inner box and protective outer box, papers and polishing cloth. Eye dropper filling system with shutoff valve mechanism. It has a huge ink capacity. 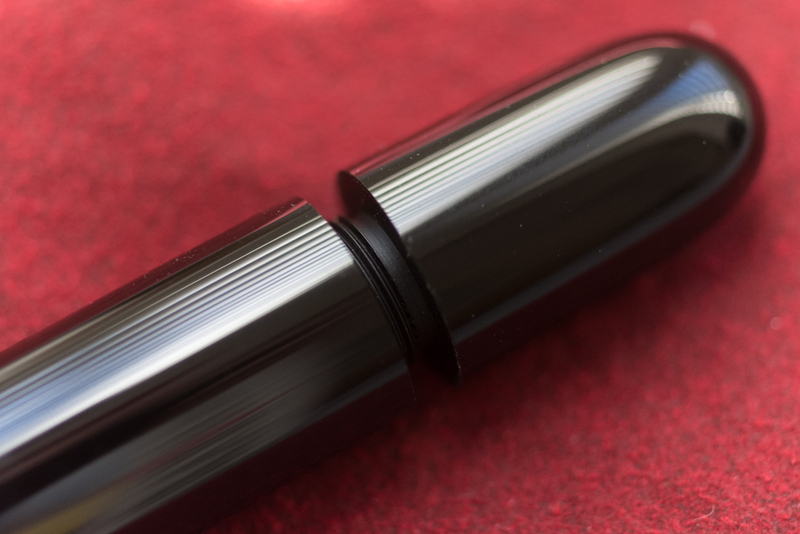 Beautiful jet black Urushi with its huge #50 nib. The pen measures 173mm capped. Unlike the current model emperor the nib on my pen is not specified but appears to be a Japanese fine-medium or medium. 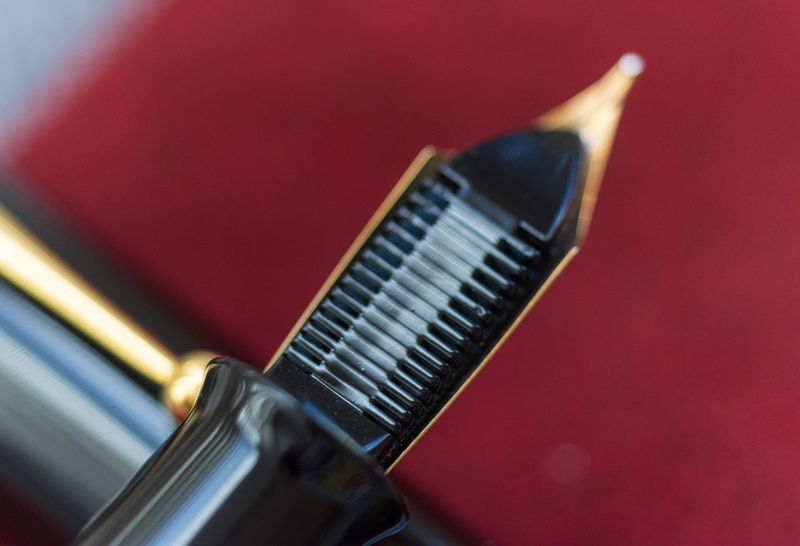 Along with the text on the nib, other distinguishing features from the current model includes “Pilot on the clip instead of Namiki, text on the nib instead of Mt. Fuji and Pilot on the nib instead of Namiki. The packing is also different with a more narrow box and does not include ink or an eyedropper. 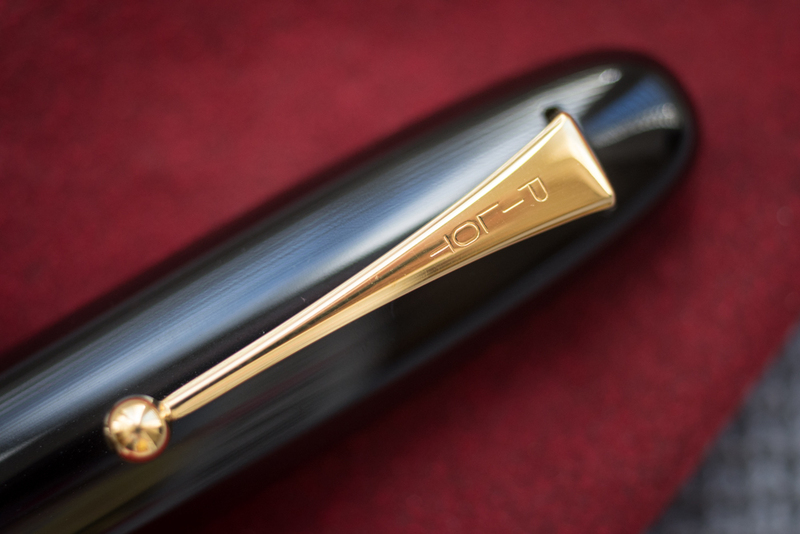 It is an incredible and beautiful pen ready to add to your collection. Offered at $2400us plus actual shipping. Price lowered to $2349 plus ship. Last edited by David Bidner; March 8th, 2019 at 02:10 PM. Reduced to $2349 plus shipping. If it were vermillion I would be tempted but I already have a lot of black pens.